of the Road and Street Works Act 1991. • Made from super-tough polymers and tested to -16°C. • Supplied with BS 873 D2 reflective sleeve for extra night time safety. • Can be stacked to save valuable space. No Waiting Cone Identify temporary parking restrictions. 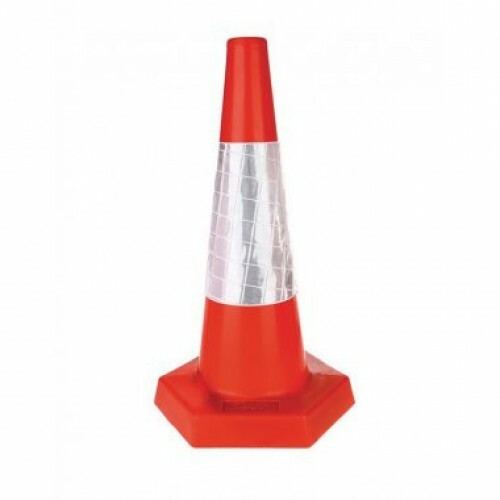 • A highly visible yellow cone with a rai..
Banana Cone Warning message inherent in the shape of the coneAll 4 sides printed with the same..
No Waiting Cone Pack of 200 Identify temporary parking restrictions. • A highly visible yel..